On January 14th 1996 Oasis played at Huxley's in Berlin, Germany. 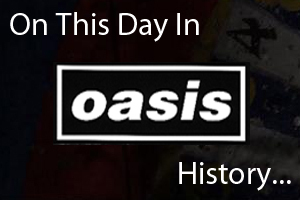 On January 14th 2001 Oasis played at the Rock In Rio Festival in Rio De Janeiro, Brazil. Watch the bands set in the below.